New historic low price on Nioh on PS4 at Walmart. Shipping is free if you have a total order of $35+ or free store pickup available. The average price for this game in the past 6 months is $15.44. The game first became 50% off on Oct 15, 2017 at GameFly. Lowest historic price was $14.88 on Feb 4, 2019 at Walmart. Nioh is on sale at Best Buy for $19.99, making it only $15.99 if you have GCU. Shipping is free or you can opt for store pick up. New historic low price. Nioh is one of those titles that haven't gotten much love in the discount department. Previous low was $35 and that was 7 months ago. You can now pick up used copies from Gamefly for $27.99 with free shipping. Nioh on the PS4 has dropped to $45 after coupon at NewEgg. While we did spot this for $35 after a complicated MasterPass coupon at Rakuten, that deal only went for a few hours before being stripped from their site (without warning too). Other than that deal this is as cheap as Nioh has gotten. Nioh only $35 at Rakuten. Extremely hot, though there are some catches. You'll need to use MasterPass as your payment method (free signup here) and apply coupon SPRING15 at checkout. New low by $25. 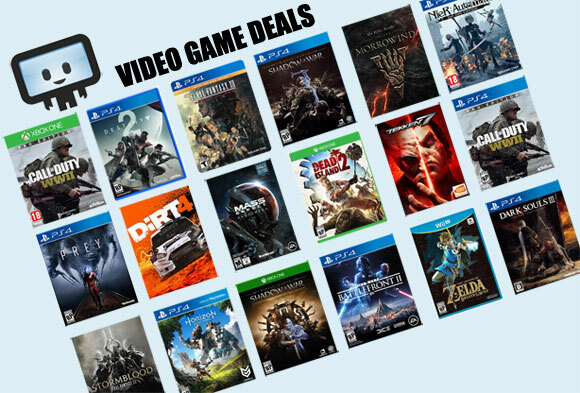 Not a discount, but a massive bonus on Nioh at Dell. Now get a $25 Gift Card when you buy through them. Essentially a bonus 42% the size of the purchase. Rare to see that. The average price for this game in the past 6 months is $22.00. The game first became 50% off on Jul 31, 2018 at Green Man Gaming. Lowest historic price was $20.50 on Feb 8, 2019 at Green Man Gaming. Nioh: Complete Edition at GMG for 49% off. This includes all DLCs and expansions for the PS4 version of the game. Steam key. Released today, Nioh Complete Edition has dropped by another 5% in instant savings at GMG. Reviews are on the mixed end but it's a Koei Tecmo PC port so for fans of the series its par for the course. Make sure you have gamepad before splurging and you'll be in for a good time. Pro tip: launch from Steam vs shortcut so you can use the launcher to tweak settings. Also worth checking out the PC port report here. Releasing next Tuesday, Nioh Complete Edition with all the DLCs is now only $38.99 at DLGamer thanks to a rare stacking coupon. If you've been eagerly waiting for the PC port to arrive, you can't miss this deal. Steam key. The average price for this game since released is $63.74. The game first became 50% off on Oct 9, 2018 at PlayStation Store. Lowest historic price was $34.99 on Oct 9, 2018 at PlayStation Store.